The Raspberry Pi has been a boon for hackers with a penchant for retro gaming. Redditor [KaptinBadkruk] Wanted to get on board the game train and so built himself an Atari 2600-inspired Raspberry Pi 3 console! 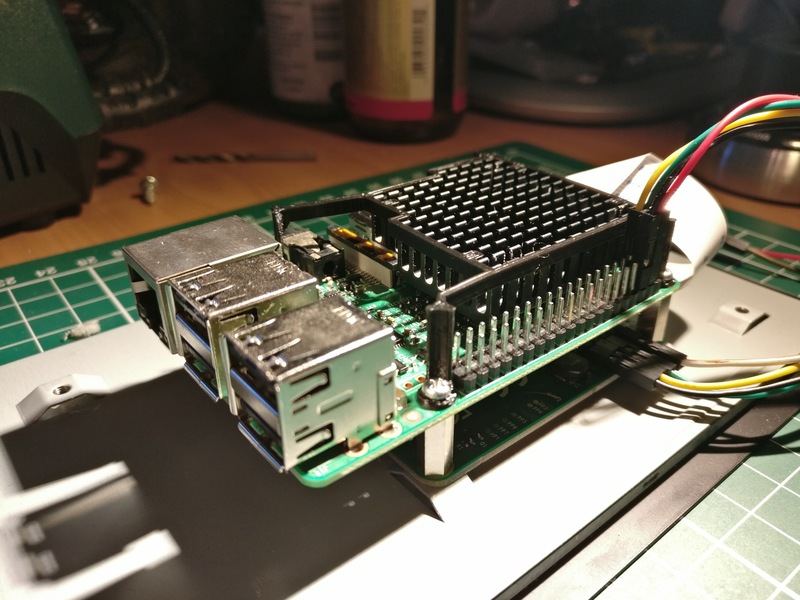 A key goal was the option to play Nintendo 64 titles, so [KaptinBadkruk] had to overclock the Pi and then implement a cooling system. A heatsink, some copper pads, and a fan from an old 3D printer — all secured by a 3D printed mount — worked perfectly after giving the heatsink a quick trim. An old speaker and a mono amp from Adafruit — and a few snags later — had the sound set up, with the official RPi touchscreen as a display. After settling on an Atari 2600-inspired look, [KaptinBadkruk] laboured through a few more obstacles in finishing it off — namely, power. He originally intended for this project to be portable, but power issues meant that idea had to be sidelined until the next version. However — that is arguably offset by [KaptinBadkruk]’s favourite part: a slick 3D Printed item box from Mario Kart front and center completes the visual styling in an appropriately old-meets-new way. That item block isn’t the first time a lightshow has accompanied an Atari console, but don’t let that stop you from sticking one in your pocket. Putting things in cases isn’t hacking, it’s woodwork. Nothing wrong with interesting woodwork, but sticking Raspberry Pis into cases is over reported on here. EVERYBODY puts their Ras Pi into a case! Unless they don’t. And that’s equally uninteresting. lemme just grab my popcorn….